Dr. David Spangler was born and raised in Oak Harbor, Ohio. He first attended and graduated from Capital University and continued on to Ohio State University where he received his Doctorate of Dental Surgery (D.D.S.) in 1972. Upon graduating dental school, Dr. Spangler served in the U.S. Navy at Mare Island Naval Shipyard in the S.F.O. area. After serving his military commitment at Mare Island, Dr. Spangler remained in the Navy Reserves for 21 years, retiring with the rank of commander. After his service commitment, Dr. Spangler decided to raise his family in Beaverton, OR. Dr. Spangler established his first private practice in 1975 in the Beaverton/Aloha area. In 1999 he relocated his practice to the Tanasbourne area at his present location. Dr. Spangler is married and has two children and four grandchildren. Dr. Spangler is currently a member of the Washington County Dental Society and the Oregon Dental Association. He is also an active and proud member of the Beaverton Rotary Club. Dr. Spangler enjoys working outdoors, golfing, and skiing. He is an avid follower of college football and the Portland Trailblazers. His favorite college football team is the Ohio State Buckeye’s, of course! 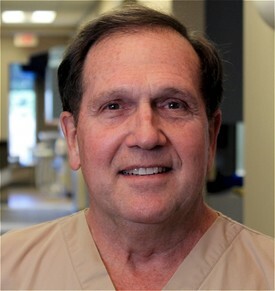 Dr. Spangler is very dedicated to his dental practice and giving his patients the best care possible.